[SatNews] To date, over one billion DivX devices, including more than 30,000 unique models, have shipped worldwide. DivX, LLC announced that GoLive Movie has selected its DivX® OmniView™ solution to power the secure delivery of high-quality, on-demand premium movie content to smart TVs. The new GoLive Movie service will first be available on television sets from TCL. 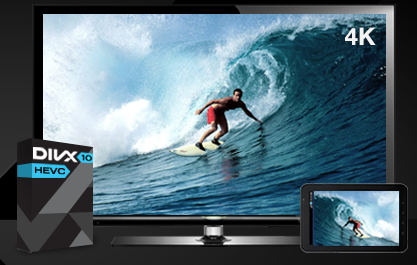 DivX OmniView DivX® OmniView™ enables Pay TV Operators, Broadcasters, Channels, and OTT Services and Platforms to create, securely distribute and play over-the-top video across a wide array of screens including mobile and smart TVs. GoLive offers viewers a diverse selection of content, including television programming and on-demand movies for viewing on virtually any connected TV, phone or tablet. By selecting DivX DRM and adaptive bitrate streaming technology, the service ensures an optimized viewing experience to suit a range of Internet speeds. With an initial launch in China, the company plans to further extend the GoLive Movie service to a worldwide audience in 2015. 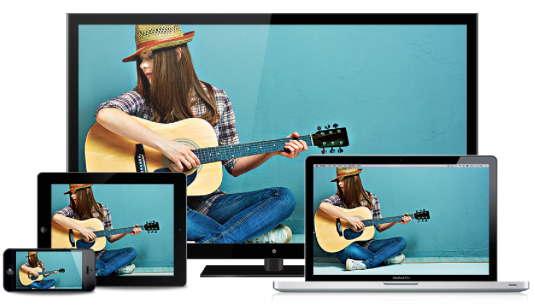 DivX OmniView technology enables secure video distribution and playback across multiple screens, including Android, iOS, Web, PCs, Smart TVs and set-top boxes. With support for video up to 4K and advanced streaming features, such as multi-language subtitles, chapter points and smooth trick play, DivX enables Over-The-Top (OTT) services to differentiate their experience as well as reduce operating costs using HEVC and DASH. In addition, DivX has been approved by the Digital Entertainment Content Ecosystem (DECE) for use with UltraViolet™ services. With a base of over 1 billion DivX Certified® devices, the DivX OmniView solution helps content providers and operators extend the reach of their services to multiple screens and broaden their subscriber base. “Our secure DivX Plus Streaming® technology coupled with our proven DRM and content preparation tools offer a complete package for GoLive and other OTT service providers interested in launching a multiscreen video service,” said DivX President and CEO Dr. Kanaan Jemili. “DivX® OmniView™ enables customers like GoLive to deliver premium-quality content, securely, to multiple devices,” he added. “GoLive is pleased to partner with DivX and to employ the DivX® OmniView™ solution to deliver a premium movie experience on connected TVs. Consumers have a desire to watch new movies on their TVs, and DivX® helps us to securely deliver the latest cinema content to homes to meet their needs,” said Reagon Cui, COO of GoLive. By utilizing DivX OmniView for OTT video delivery, GoLive Movie lets consumers watch new releases at home at an affordable price, while creating a new monetization opportunity for content producers through access to millions of screens. GoLive Movie is the first video service in China to be powered by the DivX OmniView solution. Visit DivX at 2015 International CES (South Hall, #31650) from January 6 to January 9 to see a GoLive Movie demonstration. DivX will also exhibit at the CES ShowStoppers event, giving editors and industry analysts an exclusive, in-depth look at the company’s product portfolio. ShowStoppers is being held at the Wynn Hotel on Tuesday, January 6, from 6-10p.m. DivX, LLC, and Siligence announced that Siligence has signed a new wide-ranging license agreement to implement DivX® HEVC technology in its set-top boxes, enabling the playback of high-quality, highly efficient video at up to 4K resolutions in the living room. This inaugural agreement between DivX and Siligence helps to strengthen DivX’s position in the European over-the-top market by ensuring a large footprint of devices with support for DivX DRM video. Siligence’s set-top box line based on Broadcom and STMicro advanced silicon solutions will undergo DivX Certification for DivX Plus® HD and DivX HEVC Ultra HD in advance of shipment directly to European operators, starting with a leading operator in Northern Europe this spring. By adding DivX technology, Siligence is preparing its set-top boxes to support upcoming 4K over-the-top services. “We believe DivX® HEVC technology effectively delivers the most seamless and efficient solution for the highest quality HD and 4K video streaming on next-generation devices, and we’re excited to work with Siligence to bring new 4K entertainment services to consumers around the world,” said DivX President and CEO Dr. Kanaan Jemili. “We are excited to integrate DivX® technology to deliver a solid user experience for the playback of HD and 4K content on Siligence set-top boxes,” said CEO and President Didier Zwierski of Siligence. “With its partners Siligence provides innovative technology solutions to operators and we look forward to extending this partnership with 4K streaming services for Pay TV operators in 2015 and beyond,” he added. The DivX end-to-end HEVC solution is designed to accelerate the adoption of the latest compression standard across the entire video distribution system. DivX Certified® devices for HEVC will support DivX DRM and an advanced feature set for media playback including multi-language subtitles and audio tracks, trick-play track for smooth fast forward and rewind, chapter points for quick scene navigation, and resume playback across devices. DivX recently received a 2014 Best Ultra HD Codec award from Ultra HDTV Magazine for its DivX 10 software and MainConcept HEVC SDK. 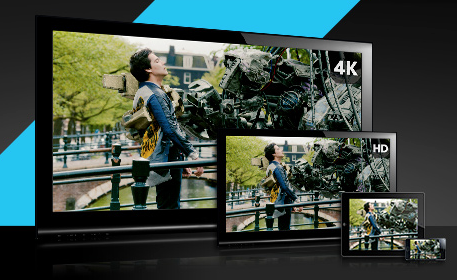 DivX, LLC and Realtek Semiconductor Corp today announced that the RTD2984DX-GR Ultra HD SoC has achieved DivX® HEVC Certification, enabling streaming of highly efficient DivX HEVC video at up to 4K resolutions on new Ultra HD television sets.